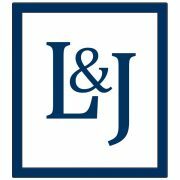 April 2016 - La Cava & Jacobson, P.A. Lou La Cava and Vicki Jobling obtained a defense verdict in a medical malpractice case tried in Pinellas County, Florida. The Plaintiff alleged the defendant interventional radiologist improperly performed an arterial chemoembolization procedure to treat liver cancer. The patient died 6 days after the procedure from liver failure. The jury returned a verdict in less than an hour finding the defendant not negligent. Lou La Cava obtained a dismissal with prejudice for his cardiologist client. The plaintiff alleged that the defendant inappropriately ordered heparin for a patient after the patient had informed the hospital medical staff he did not want to be treated with heparin. The heparin was ordered due to the patient being in atrial fibrillation. The patient subsequently suffered a hemorrhagic stroke and was severely neurologically impaired. After several years of vigorously defending the case, the plaintiff agreed to dismiss the doctor from the case without any settlement payment.